The Depression Era may have been a bleak time in our country's history, but they had the right idea by designing dinnerware in these beautiful colors to add cheer to any table. 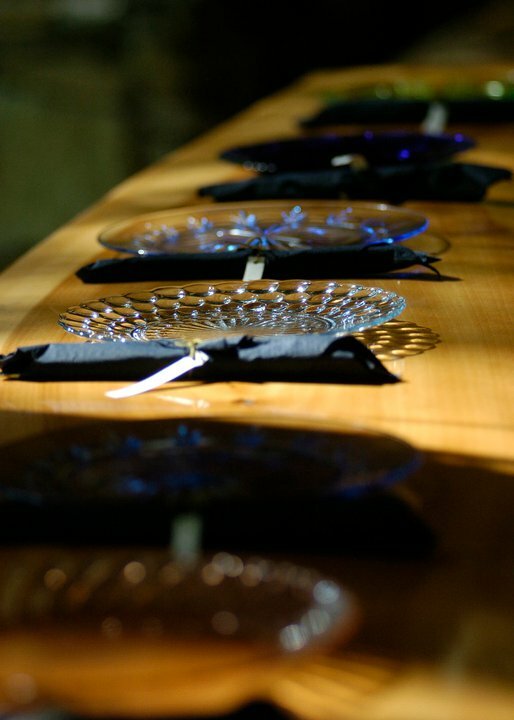 With some patterns featuring intricate designs and exquisite pressed glass, they add a unique touch to your setting. 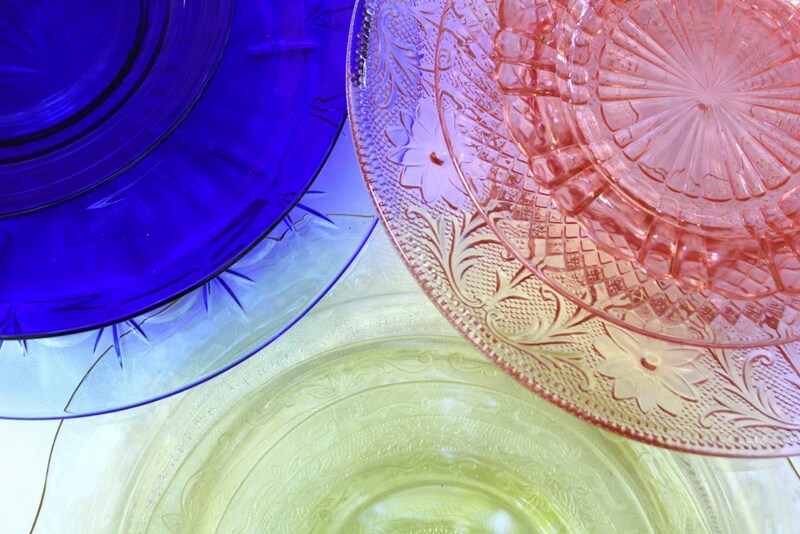 This collection is offered in Clear, Blue, Green, Yellow and Pink. 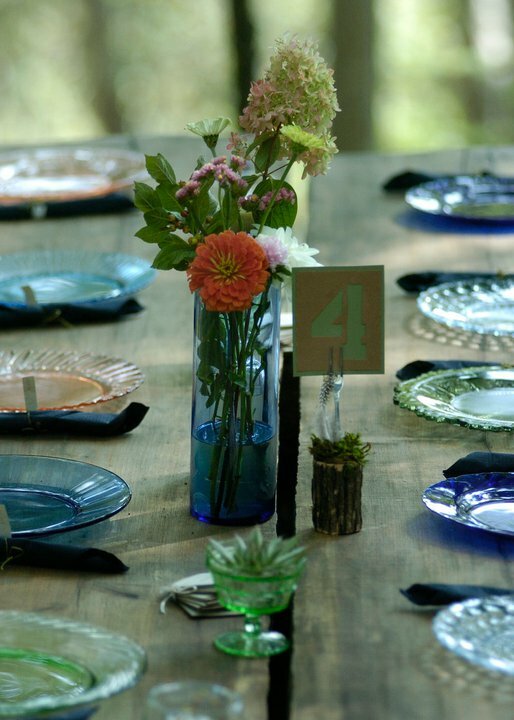 Whether your place settings are comprised of all one color, several colors, or many shades, we can custom design the look to coordinate with your decor.